During our Annual Conference meeting this June, the agenda will include “Telling Our Stories,” which will feature conference members telling their stories about how they are becoming disciples of Jesus Christ. We want stories about who we are and what God is doing in our lives. About how we are ordinary people trying our best, with God’s help, to point our feet toward being Jesus’ disciples every day. And, how we don’t get it right every time, we aren’t perfect, and we also have mountaintop experiences. Those are the details that provide inspiring, rich and diverse stories about our lives and our faith. For those storytellers who attend the Annual Conference, we ask that you share your stories on the stage during our plenary sessions. For those who can’t take the stage, we will attempt to produce a video of you telling your story to show during Annual Conference. 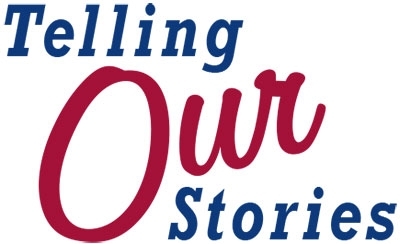 We ask local church pastors, staff, and district staff to help find participants for “Telling Our Stories” by encouraging persons they know, who are willing, to be our storytellers. There is a link below for nominating a storyteller. We’ll work with our storytellers on guidelines, suggestions and editing, and we’ll provide program and stage guidance during the Conference. Where have you seen God at work in your life recently? How has His work helped you on your disciple journey? Please click here to go to our story submission page to send us your contact information and your story. Please click here to nominate a storyteller. If you have any questions, please email them to AC Questions at ACQuestions@flumc.org.